I took this video in 2010 when a lot of corn was planted in mid April and had emerged nicely only to be hit with a frost in May. Although the injury looked bad at the time, because the growing point was below the ground the crop made a complete recovery and 2010 saw record high provincial corn yields. In 2012, a similar scenario presented itself where certain pockets of the province received a frost on the morning of May 17th with corn nicely at the spike to 2 leaf stage. In 2013 not only did snowfall on May the 12th, a frost occurred on the morning of May 13th and some of the early planted corn in the province has emerged. Worry not though, this video provides an overview of what to scout for after a frost and will hopefully make you feel better about your situation if you had a frost this morning. 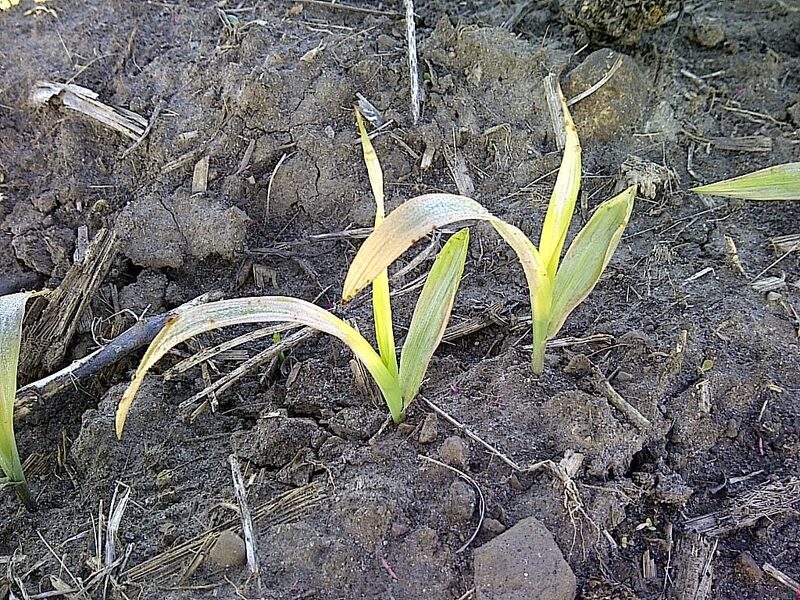 2013 Update: Another frost wave hit through Southwestern Ontario on May 24th, Below is a time lapse video showing the injury that occurred and how the corn plant responded during the following week.